This morning I challenged myself to a 10 minute project that began with no plan or goal. I was pushed for time and had no post planned for the day. I got out my crafting tape and basically started to “play”. In fact, Shay came in and asked what I was doing and I said I didn’t know. He proceeded to ask a few more questions about my project and I told him I really had no idea what I was going to do, but it all began by covering an old puzzle piece with tape. Here is what evolved. Cover the puzzle piece in tape. I used 3 different designs of tape and randomly placed strips across the surface. Use the tape to create a border along the bottom of the card. I layered mine to get this look. Adhere the puzzle piece to the card. Add lettering to get the message you want. (The “PEACE” Man! is a little lame, but I was in a big rush and wanted to incorporate the puzzle piece into the greeting itself.) Of course, you could use any play on words with the peace/piece idea (Peace be with You, May you find Peace, etc.) or something like “love you to pieces” or “you’ll always have a piece of my heart”, etc. The concept of this card is much less about the final look of the card and much more so about being able to create a great card without a roomful of scrapbooking tools. This is the epitome of simple, cost effective and the possibilities are endless. The puzzle piece simply adds dimension and a bit of interest. If you skip it, you could get the same effect by incorporating buttons, fabric, washers or other household items. I tend to find that some sort of dimension adds interest and a focal point to a card. It isn’t necessary, but more so my preference. 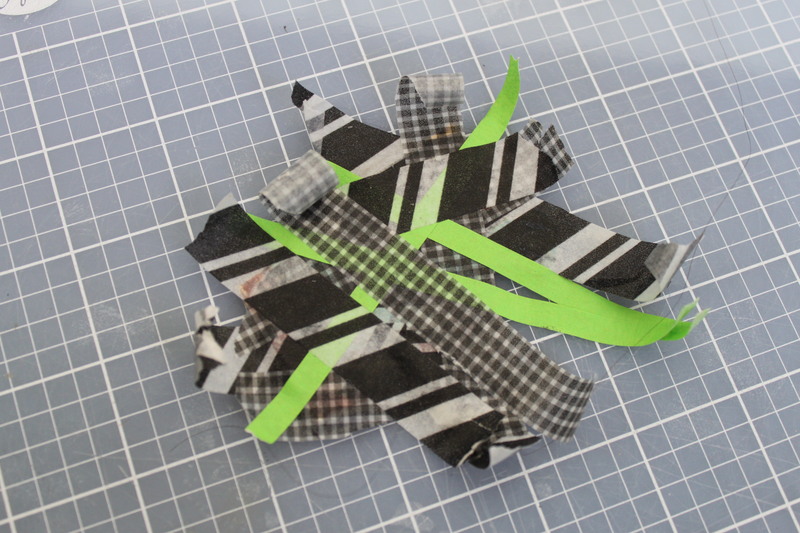 Next time you’re at the dollar store, pick-up some tape and card stock and begin to play and create. It is amazing what you can come up with simply by combining different patterns and materials. This project took less than 10 minutes and that was without knowing that I was evening going to end up with a card. This project is rated A for “anyone could do it”. Have fun! 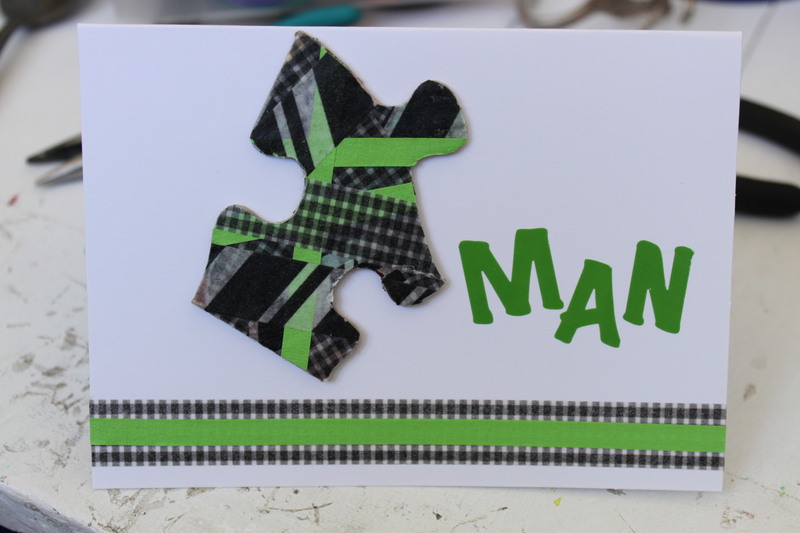 Posted on March 2, 2014 by Cindy Roy •	This entry was posted in Homemade Cards and tagged card making for beginners, card making made simple, card making tutorial, creative ways to use tape, homemade cards, making cards with tape, old puzzle piece projects, washi tape projects. Bookmark the permalink. ← Living An Urban Legend: That Dirty RATscal!